If you are looking to get scared this Halloween season, haunted attractions in Maryland offer some of the most horrific experiences. Every year, guests are treated to more creepy experiences in haunted houses, haunted forest trails, haunted corn mazes and haunted Halloween hayrides . Maryland is by far the best place to experience ghostly figures, nerve-racking haunts, fear-filled mazes and horrific scream parks. 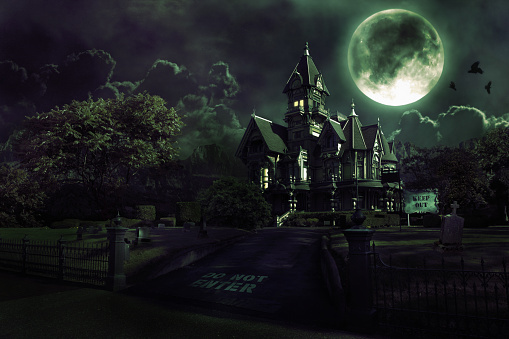 The state has more haunted houses than any other state in America. If you are looking for the top haunted attractions around Maryland, you will want to consider visiting these places. Bennett's Curse Haunted House is located in Jessup, Maryland and is renowned in the haunted world. This haunted attraction is popular due to its legendary three haunted houses all under the same roof. The experience starts with the horrific and epic House of Vampires then the Zombie Kingdom in 3D and finally the Sanctuary of Insanity. The entire haunted experience offers more sets, characters, film quality props, unique themes and an amazing collection of gigantic monsters that you can't find in any other attraction. Expect mind-bending and disturbing haunts in medieval settings, a labyrinth of dungeon cells, flesh-hungry zombies in 3D and amazing scenery. Creepywoods Haunted Forest is Maryland's most popular haunted trail in Kingsville area. The revamped trail is ridden with new scenes of pure horror that leave you with scary nightmares. Guests should expect to be taken to the edge of insanity and explore chilling madness that drove a once peaceful village into evil humans, hideous deformed creatures and undead zombies who are dedicated to death. The forest trail unleashes pure terror with ghostly figures, a pack of bloodthirsty werewolves, gigantic creatures and others waiting to summon your courage and tempt your fate on arrival. Sinister Crops is the ultimate haunted corn maze attraction in all of Maryland. The corn maze is haunted by a legendary curse on the farm and is located in Boyds, Maryland. It's a legend of many years that lives on to this very day. 'Don't go past that post, and never go into that corn', so is the legend of a grandmother telling the story. The corn maze tests your bravery with sinister and powerful ghosts that lurk through the fields of corn in the deep of the night. The adventurous maze of horror tests your real ability to survive falling victim to the horrifying ghosts of the legendary farm. Guests experience evil madness as they see what cannot be seen in the maze. Nightmare Screamplex is the only haunted scream park in Maryland. Located in Boyds area, Maryland, the park is very popular for its long history and reference to dark evils that lurk in the forest. If you are seeking answers to the mystery of unearthly creatures that have terrorized local villages for hundreds of years, the scream park offers a haunting experience. Get to know why village kids were always warned to never go near the edge of the forest. The Lost Asylum and the park's maze of horror are where you will experience mysterious creatures and chilling screams that drive you out of control. These locations are some of the unique haunted attractions in Maryland that you should try out this fall. For more information, go to http://en.wikipedia.org/wiki/Haunted_attraction .